Travelling to Leiden is easy – both for international travellers and for people already in the Netherlands. No matter whether travel to Leiden by air, boat, car, train or bus! 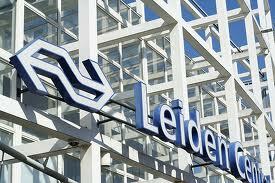 Leiden is only 20 minutes by train from Holland’s main airport ‘Schiphol Amsterdam International Airport’. But you can also fly in to Leiden from Rotterdam Airport, or travel by high-speed international train to either Rotterdam or Amsterdam and then transfer. Leiden’s Centraal Station is light, clean and modern. From Schiphol Amsterdam Airport: take a direct train to Leiden Centraal Station. Train tickets for domestic travel are available from the yellow ticket machines near the platforms at Schiphol Plaza. Tickets (for domestic and international travel) are also available from the ticket offices, which are situated close to the red/white-checked cube at Schiphol Plaza. Staff at the ticket offices will also be able to provide you with train departure information. From Rotterdam Airport: take a bus from Rotterdam Airport to Rotterdam Centraal Station. Busses depart frequently and takes about 20 minutes. From Rotterdam Central Train Station it will take you about 30-40 minutes to travel to Leiden Centraal Train Station. From Eindhoven Airport it will take you 2-3 hours on average to get to Leiden. Leiden is easily accessible via the Dutch highways A4 (Amsterdam – The Hague) and A44 (Amsterdam – Delft). The main provider of busses in and around Leiden is Connexxion. With two harbours, and access from cities such as Delft and Rotterdam, arriving by boat in Leiden is easy and fun.